Los Angeles native Melvin Lee Davis was discovered at the tender age of 16 by Buddy Miles, when a horn player from Buddy Miles’ band heard Melvin playing in a local club. Buddy Miles flew Davis to New York to audition for his band and immediately hired him. After playing the New York club circuit, Melvin found himself working with Don Cornelius of Soul Train. 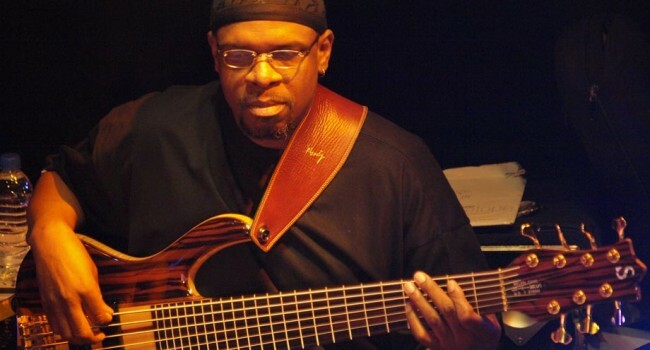 He has toured and recorded with Chaka Khan, the Pointer Sisters, Lee Ritenour, Bryan Ferry, David Benoit, Larry Carlton, Patti Austin, Gladys Knight, and many other top acts. Davis wrote the theme for the TV show “The Party Machine” and “Soul Train’s A Coming” and has appeared on “Johnny Carson”, “David Letterman”, “Jay Leno”, and “Arsenio Hall.” Melvin has travelled the world and continues to be in high demand across many genres of music because of his incredible talent and positive demeanor on and off stage.